Old map by BESSA -Hypericum Hircinum, Millepertuis Setide. 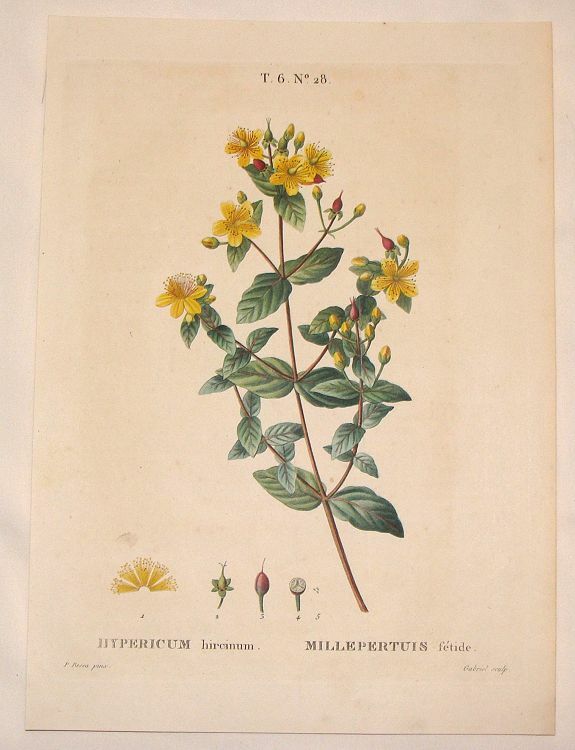 Title: Hypericum Hircinum, Millepertuis Setide. 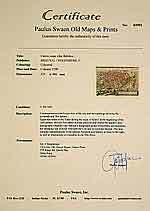 Size: 12.2 x 9.3 inches. Condition: In good condition with usual age toning. Very fine botanical stipple engraving by Pancrace Bessa, one of the most famous botanical artists of all time. From his "Trait des Arbres et Arbustes que l'On Cultive en France en Pleine Terre". Pancrace Bessa (1772 – 1846) was a French natural history artist, best known for his botanical illustrations. Bessa worked alongside Pierre-Joseph Redouté, some of whose influence shows in Bessa's detailed and delicate treatment of his subjects. He was a regular exhibitor at the Paris Salons between 1806 and 1831. In the early nineteenth century, Bessa, Redouté and Prévost, raised France to pre-eminence in the genre of botanical painting. Bessa developed a masterful use of stipple engraving technique, an essential part of colour printing.